As February is waning and we head into March, VSpicery is ready to spice it up! Lent means fish on Fridays for many, and here are a couple of fun fish recipes for you to try. We have a few spins on the “usual” and a couple of fun alternatives that will help you keep fresh fish on the table frequently without getting bored. Just because it is healthy for us to eat, doesn’t mean it has to be boring! Venture down the bayou with a seafood gumbo featuring VSpicery’s Creole Seasoning. 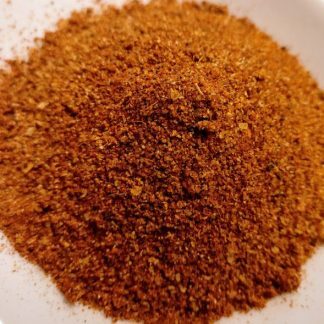 Try our Blackening Seasoning on shrimp or fish, and our Shallots N’ Pepper blend is wonderful on any fish variety. 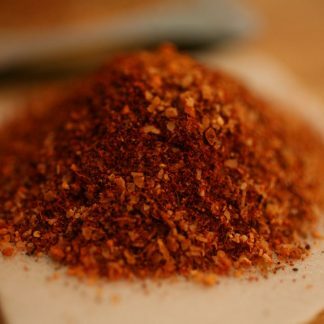 Add a touch of our Chophouse Seasoning to perk up an Oyster Stew or Clam Chowder. In a food processor, chop down onion and celery until finely minced, and set aside in a bowl. Season fish with 1 tsp. Shallots N’ Pepper (use more, if you like). Put fish into food processor until finely flaked. Combine fish with onion, celery, egg and 1/4 cup bread crumbs, and mix together well. Combine ½ cup bread crumbs with 1 tsp. Shallots N’ Pepper, form cakes and coat fish cakes with bread crumbs. 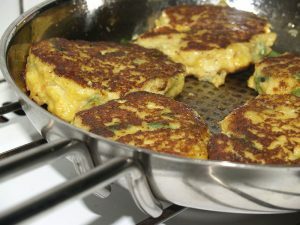 Place on a baking sheet, and drizzle a bit of olive oil on the fish cakes. Bake at 400 degrees for 20 minutes and serve immediately. One of our easy favorites is salmon seasoned with VSpicery’s Tasty Tango served with our French Inspired Rice. 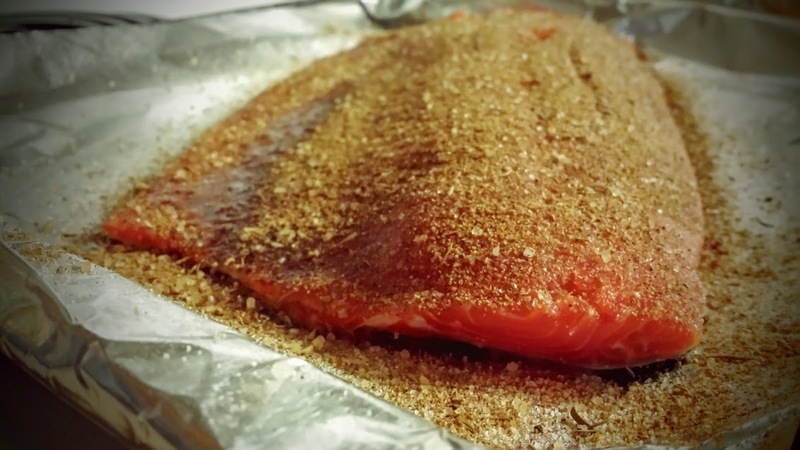 Simply bake the seasoned salmon at 425 degrees for 15 to 20 minutes and follow the directions on the rice package. Another delicious combo for salmon is VSpicery’s Sweet Singing Seasoning paired with our India Inspired Rice. If shrimp is your thing, try Shallots N’ Pepper or spice it up with Sriracha Sizzle. Here’s a quick and delicious shrimp marinade with our Sriracha Sizzle that is incredibly delicious and easy to make as an appetizer or main dish. You can use fresh or frozen shrimp for this recipe. 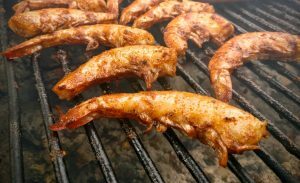 Try this marinade for grilled shrimp too! Whisk ingredients until well blended, pour over the shrimp in a ziplock bag or bowl, and let the shrimp chill in the fridge for 30 – 60 minutes. Pour 2 – 3 tbs of Olive Oil in a large skillet, and put on medium-high. When the oil is hot, add shrimp to the pan, searing on both sides until shrimp turns pink and just starts to curl. Don’t overcook, or they become rubbery. Cycle shrimp out of the pan and onto plates as they finish cooking. Each batch should only need about 5 – 6 minutes total. We like to place the shrimp on a small bed of arugula or any other peppery leafy greens, and a small lime wedge (or wheel) is optional. A fresh spritz of lime juice adds a bright, fresh touch. Serve and enjoy!